Add two names to the gubernatorial conversation. 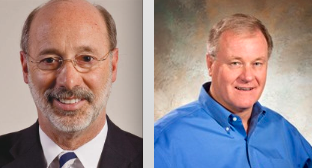 Tom Wolf, a Democrat, and Scott Wagner, a Republican, each says he is considering a challenge to Tom Corbett. York-based Wolf Organization chair and CEO Tom Wolf, who served as secretary of revenue under Gov. Ed Rendell, said Tuesday he’s considering a run. But the Mount Wolf Democrat stopped short of saying he will run, because he wants to make sure his business can thrive without him. Wolf, 63, considered a run for governor in 2009, but instead decided to return to the family business. “If I can get it to a point where I feel comfortable, I would love to throw my hat in the ring,” he said. Also in the conversation is Scott Wagner, the Republican super-donor who has repeatedly slammed Corbett’s leadership. 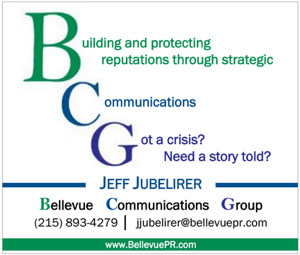 He is also an advertiser with PoliticsPA. Another York County businessman, Penn Waste owner Scott Wagner, has been publicly critical of Corbett and is rumored as a potential challenger in the Republican primary. A would-be newcomer to politics, Wagner said he’s unhappy with the “status quo” in Harrisburg and “might consider” a run. You ask the question if it unreasonable for taxpayers to hold Harrisburg legislators accountable? To me, the answer is simple. We have the option every election to hold all elected officials accountable. But the question I ask you is one that all Pennsylvanian’s are Wanting to ask you. Who gives you the authority to be “Kingmaker and God” of all things political in Pennsylvania? Once you can answer this question, then maybe we citizens may be willing to take you a little more serious than we currently do. Ok PFL, in light of your response, I rest my case as to why she is conflicted out of conducting the investigation. Thank you. anyone who thinks Kathleen Kane is going to investigate Tom Corbett is way off base. Kathleen Kane will be a Tom Corbett shill from day one. She donated $500 to his campaign in 2010. She is a Democrat in name only. She’s anti-union. She had no record to run on but nd somehow, either by some act of God or the ignorance of Pennsylvania voters, was elected AG. And she’s also overly ambitious with an amateur hour team so don’t be shocked if she starts hemming and hawing in the press about running for Governor in 2014. I don’t know him personally, but I’m interested in the fact that this Wagner fellow apparently gave $1,000 to the Lyndon LaRouche PAC in October 2011, according to the FEC. That will be a pretty hard thing to explain to the 99.9% of us who know that Lyndon LaRouche is certifiable! Blue Knight you pinhead the ex board member at Hershey Trust gave money to Kane because Corbett refused to adequately investigate Freed family (Zimmerman) bilking and he was disgusted with the good ole boy crap. Check your facts you pinhead. *yawn* Let’s all agree that Corbett is the weakest leader this country has seen since Jimmy Carter and secondly that Mike Turzai is the very definition of leadership. It’s amazing what state government has achieved in spite of Corbett and because of Leader Turzai. Agreed, Wagner is an idiot. I wonder when the unions will start to vist his employees? It’s a good thing the GOP will have an alternative because after Kane gets done looking into the Sandusky “investigation” and how the GOP treats the Hershey trust fund like its own little piggy bank, Corbett will be done. Why do you think Cawley has had such a visible role lately? It will be a GREAT thing for PA to have someone who knows how to run a business run our government! This is great. The Democrats are going to have a nice, crowded primary. Wolf would be a solid candidate because he can identify with being a member of a community, job creator, and business-owner. He may be able to easily connect with people. But, Wolf would need to organize a very strong team, effective message, and make inroads in McCord and Sestak territory. 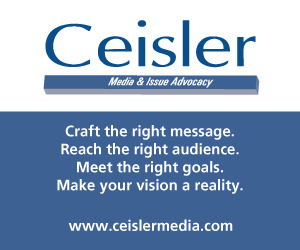 I was hoping that there was a reason behind his insane politicspa web banners. His bold vision for taxpayers and job creators is almost as good as a business that claims government didn’t help build it while it receives government contracts. I cannot even figure out what this joke is trying to be. First we had Tea Party Tom, now we have one of his largest financial supporters Scott “Trashman” Wagner who feels he too has the right stuff to make a run. When will Scott and the rest of the lot learn that their days are over?